Children are heavily exposed to artificial light at night and this has consequences for their development. 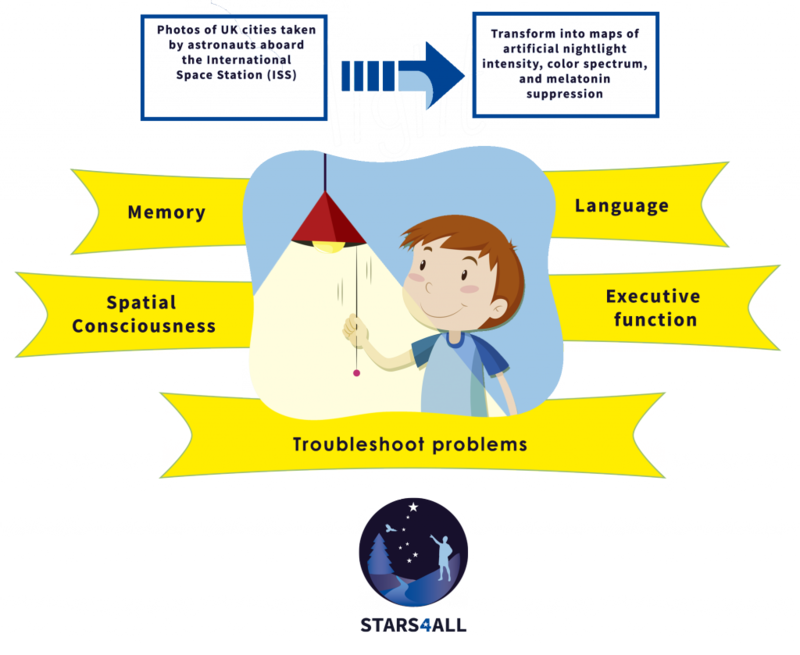 This study aims to obtain maps of artificial nightlight intensity, colour spectrum and melatonin suppression from photos of UK cities taken by astronauts on board the International Space Station (ISS) in order to measure the impact of light pollution on the performance of different brain functions, such as language, memory, executive function, spatial awareness and problem solving in children. Dr. Juana María Delgado-Saborit develops this project from ISGlobal.